Business process automation is just what it says on the label: automating business tasks that used to be manual and cumbersome. Some business tasks will always require human intervention, but a huge number of tasks can be partially or fully automated, to everyone’s benefit. 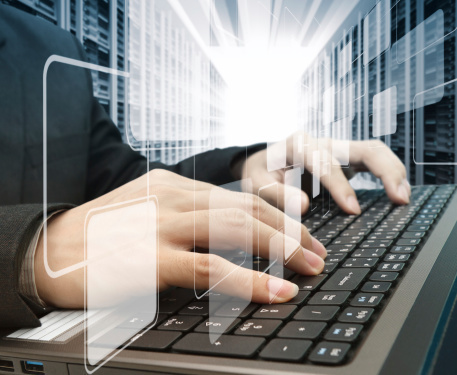 Why not put your network to use in business process automation? It’s reasonable even for small start-ups. What can you expect if you develop a business process automation strategy for your company? You can expect to benefit right away and over the long term. Here are 5 ways better business process automation can help your company. Think of the old way of requesting paid time off. You would ask the department secretary for a form that you would fill out by hand. Then you would either use company mail or hand deliver the form to someone in HR. That person would work through forms one by one, and if something was illegible or confusing, a series of phone calls to clarify would ensue. If this process is automated, however, you access and complete the form online. When you submit it, an email alert is automatically sent to the person who must act on the request. When your request is approved, you’re automatically notified. Think of the many ways things can go wrong with manual, paper-based processes. Forms can get torn, lost, or smudged. Some people have terrible handwriting. Some people may enter a date in one format while others enter it in a different format. Business process automation puts electronic forms at everyone’s fingertips, and can be set up so that everyone enters information in a consistent format (like MM/DD/YYYY). No one will mistake “4” for “9,” and a coffee stain won’t obliterate an important piece of information. Forms won’t disappear under a pile of papers. In short, error rates drop dramatically. Suppose you set up an electronic form on your website to collect names and email addresses from people who want to subscribe to your email newsletter. You can set the process up so that not only is the information added to the email list, but so that other processes are triggered as well. You could, for example, automatically trigger delivery of a free e-book or special offer to be sent as a thank-you to the person who signed up. Or you could automatically notify a particular person in marketing to follow up with the lead. And it can all be accomplished instantly and automatically. Electronic forms standardize data collection and processes, with no paper required. 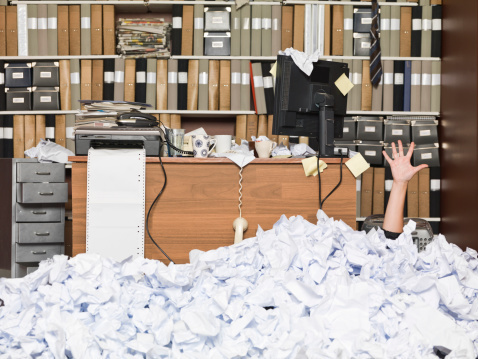 In form-heavy industries, like education and government, offices can easily turn into a blizzard of paper. By using business process automation to create electronic forms and workflows, however, the need for paper, ink, and toner drops substantially. You can reduce your environmental footprint, your need for filing cabinets, and your status as a fire hazard all at once. Faster processes, with fewer errors and less paper to pay for and store all contribute toward a reduced cost of doing business and healthier revenues. If your contractors submit invoices on spreadsheets, there is major potential for confusion. Even if they all use the same template, a misplaced comma or decimal point can throw everything off. With electronic forms, you collect the exact information you want, in a format that you specify. You can make it so that if someone submits an amended form, it automatically updates the system or triggers another action. Standardizing the data you collect not only reduces errors, but also makes it easier for new personnel to learn how to process it. If you run a small business, you may wonder who can afford an automated system for IT repair requests, another system for project management, and still another for HR functions. Fortunately, PerfectForms is flexible enough to be adapted to automation in any department. Creating forms and connecting them into workflows doesn’t require programming, just drag-and-drop simplicity. And you create forms exactly like you want them, so they’re perfectly tailored for your particular processes. Have a look at our demo and see for yourself how easy and affordable business process automation can be. PerfectForms combines power with flexibility, ease-of-use, and affordability, putting business process automation well within your reach. This entry was posted on Friday, May 22nd, 2015 at 11:45 am	and is filed under Form Automation Category, Workflow. You can follow any responses to this entry through the RSS 2.0 feed.